Spread butter on one side of each slice of bread. Place one slice, buttered side down in preheated skillet; top with half of the cheese. 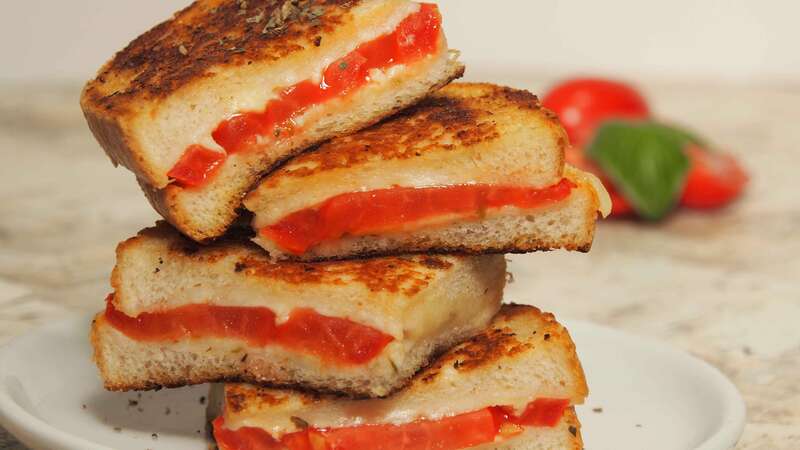 Layer with tomato and remaining cheese; sprinkle with oregano and basil. Top with remaining slice of bread, buttered side up. Cook over medium heat until golden on both sides.